Carina is a suburb of Brisbane, Australia. It is located 7 kilometres (4.3 mi) east of the CBD, and borders Carindale, Carina Heights, Cannon Hill and Camp Hill. Carina is a mostly residential suburb. The Clem Jones Centre (a large sporting complex) is located in Zahel street, and a Brisbane City Council bus depot is situated on Creek Road Carina. The suburb is home to the Carina Tigers Rugby League Football Club. Carindale is a suburb of Brisbane, Queensland, Australia. It is located 10 kilometres (6.2 mi) east of the CBD, and borders Belmont, Carina, Carina Heights, Mackenzie, Mansfield, Mount Gravatt East, and Tingalpa. Notable features of the suburb include a large shopping centre – Westfield Carindale, the Pacific Golf Club, Belmont State School, Belmont Bushland Reserve, Belmont Private Hospital (psychiatric only) and Bulimba Creek. The Gateway Motorway borders the suburb. In addition to Indooroopilly in the west; Chermside on the north-side; and Upper Mount Gravatt on the south side, the suburb has been described as a mini-CBD. Public transport runs frequently to and from Carindale and the City via Old Cleveland Road and Creek Road, leading to the South East Busway. Carindale is represented by Ross Vasta, Steve Minnikin, and Adrian Schrinner at the federal, state, and local levels respectively. Carindale was the name of a housing estate constructed in the area in 1976, and was taken as the official name of the suburb when it separated from Belmont in 1980. The name itself is a combination of “Carin” from the nearby suburb of Carina, and “dale” meaning valley. The suburb is home to one of the largest Westfield shopping centres in Brisbane, Westfield Carindale. This large shopping complex has over 400 stores, archored by major tenants. The area is of a high socio-economic condition, which is evidenced by the “mini-mansions” that form much of the suburb. In recent years, many high density apartment blocks have been approved throughout the retail area of the suburb and are now under construction. The apartments rise up to the maximum height of 8 floors. Capalaba is a suburb in Redland City, Queensland, Australia. The suburb has large shopping and commercial centres with two malls and a major bus station, as well as light industrial zones surrounded by bushland and residential streets, making it the second most populous suburb in the Redlands. Surrounding suburbs include Alexandra Hills, Birkdale, and Sheldon, also in Redland City, along with Burbank and Chandler (and formerly Capalaba West), which lie within Brisbane. 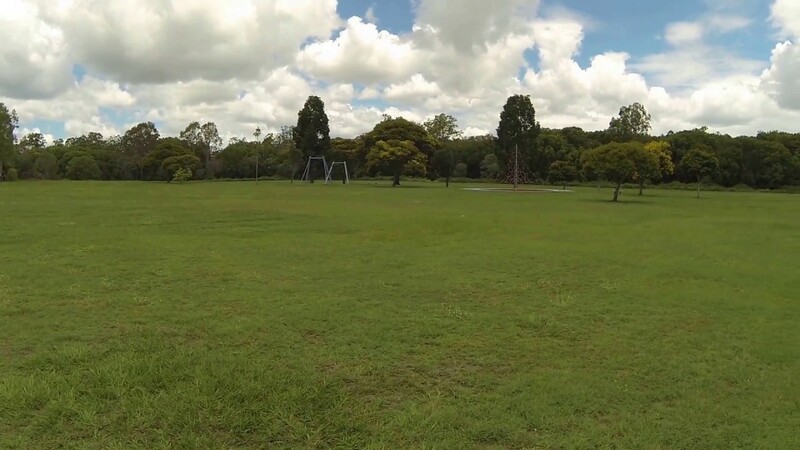 Tingalpa Creek marks the border between Capalaba in the east and the City of Brisbane in the west, making the suburb a gateway to the coastal Redlands region for urban Brisbanites. The waterway serves as important wildlife corridor on the city’s fringe. The creek also provides limited kayaking and fishing opportunities. The creek’s water catchment area covers 150 km². The Capalaba bus station connects the suburb to much of the Redlands and Eastern Brisbane. Services to Garden City bus station and the adjacent Upper Mount Gravatt busway station are operated by Mt Gravatt Bus Service, on behalf of TransLink. The suburb is also connected west to Carindale bus station and the Brisbane central business district, north to the Cleveland railway line, and east to Victoria Point bus station, through bus routes operated by Transdev Queensland on behalf of TransLink. Alexandra Hills is a locality in Redland City, Queensland, Australia. Alexandra Hills sits between two major areas of Redlands, with Cleveland to the east and Capalaba to the west. Alexandra Hills itself is notable as the only enclaved suburb of the largely coastal Redland City. Windemere Road Park is the most developed park in Alexandra Hills. The most recent addition has been a climbing wall. It also hosts a flying fox, skate/bike bowl, basketball court and an off the leash area for dogs. The park itself stretches from Windemere Road to Cumberland Drive. The George Street and Hanover Drive Parks also have dog offleash areas and there is a trial area in Valantine Park. Alexandra Hills is also home to the popular McGuire’s owned venue ‘The Alexandra Hills Hotel’ or colloquially known as ‘The Alex’. The hotel is situated on the outer edges of Alexandra Hills almost bordering nearby suburbs Wellington Point and Cleveland. The hotel is also home to the ‘Squeeze Club’, a weekend nightclub commonly referred to as ‘The Pit’. It is located on the top level of the Hotel. Cleveland is 27 km due east of the Brisbane CBD. It is 10 m above sea-level. One of the most significant coastal settlements is Cleveland which, because it was once promoted as the future capital of the state, is now an important coastal town with a number of historic buildings and a delightful walk along the coast. It is recognised as the main access point for people wanting to explore Stradbroke Island. Cleveland has a number of historical buildings dating back to the 1850s and 1860s when it was a coastal village. The Cleveland Lighthouse, an unusual polygonal wooden building which was constructed in 1864-1865, served the area for 110 years before modern technology saw it replaced. The light was 10.6 m above high tide and could be seen for 14.5 km out to sea. It is now recognised as a significant historic landmark because it is a reminder that Cleveland once hoped to be the major port for Queensland. The timber design was so that the lighthouse could be moved relatively easy. The shifting sands of the coastline were such that it would need to be removed. In 1943 it was electrified . In 1969 it became one of the first places in Australia to experiment with laser lights. It was re-sited in 1975 and now stands at Cleveland Point Reserve. The leafy streetscapes of Cleveland are a welcoming gateway to iconic North Stradbroke Island and and the perfect place to start your Redlands adventure. Cleveland is easily accessed by road or rail where you can make the most of beautiful foreshores, parks and playgrounds, as well as a wide range of dining and retail choices. 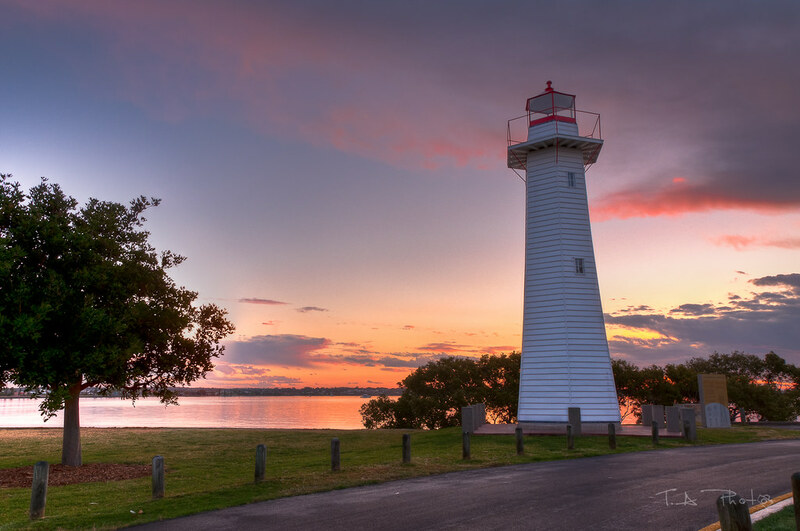 Breathe in the sea air as you picnic in the park, cast a fishing line, check out the historic 150-year-old lighthouse or dine overlooking the bay and its islands. 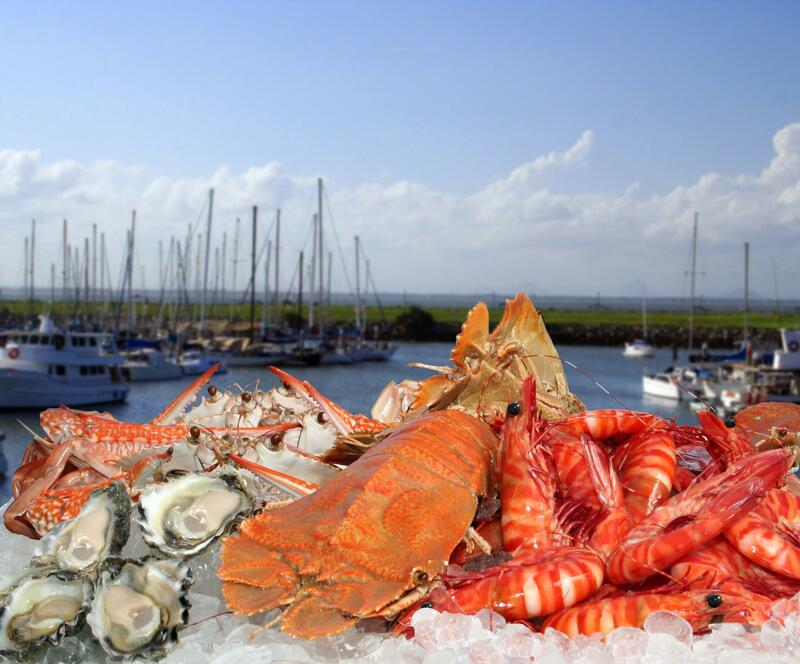 At Raby Bay Harbour you can indulge in a mouth-watering array of cuisine as you look out over luxurious yachts and cruisers at the bustling dining precinct. Victoria Point is approximately 33 kilometres (21 mi) south-east of Brisbane, the capital city of Queensland. It is primarily a residential area, but it also contains other public complexes and a ferry service to Coochiemudlo Island. With its multitude of parks and esplanades, Victoria Point is a popular destination for leisurely outdoor afternoons spent strolling, swimming, cycling or enjoying a barbecue with family and friends. There is a great range of urban-chic dining options at Lakeside – the open-planned precinct overlooking the lake created by Eprapah Creek. You can also take in a movie at the local cinema, enjoy drinks with friends in one of the local bars or make the most of some retail therapy. Thompson’s Beach is a very popular swimming spot when it’s warm and is ideal for paddle-boarding. Victoria Point also is the gateway to Coochiemudlo Island and its sandy beach, with a regular ferry and Amity Trader barge service from the jetty on Masters Avenue. There is also a boat ramp popular with those wanting easy access to Moreton Bay. When it comes to parks, you are spoilt for choice. Bayside W.H. Yeo Park at the end of Thompson Esplanade is a top spot for the kids. Redland Bay is a township at the southern end of Redland City, Queensland, Australia. Situated at the southern end of the Redlands area, it is the departure point for the Southern Moreton Bay Islands. Regular passenger ferry and vehicular barge services depart from Redland Bay for the Southern Moreton Bay Islands. Charming and friendly bayside suburb with a village ambience and sea breezes. Sport is a popular pastime for locals and there’s an 18-hole golf club, tennis courts, cricket oval, cycling and walking paths and, it’s worth noting, one of the most picturesque and popular foreshore trails in the City. Markets are a popular attraction and there is a vibrant shopping and dining precinct popular with locals and visitors alike. A boat ramp also makes Redland Bay a popular launch access to Moreton Bay and its multitude of islands and secluded beaches and swimming enclosure. Wynnum is a suburb located on the shores of Moreton Bay in Brisbane, Australia, about 14 kilometres (8.7 mi) east of the CBD. Although Wynnum is situated next to the ocean, the shoreline is covered in mangroves and aromatic mudflats which makes it unsuitable for swimming at low tide. Next to the Wynnum Wading Pool which has a playground and Water Park and the Wynnum Jetty, there is a man-made beach called Pandanus Beach. Wynnum is served by three stations on the Cleveland railway line. Wynnum North railway station, Wynnum railway station and Wynnum Central railway station provide access to regular Queensland Rail City network services to Brisbane and Cleveland. It also has an extensive range of long established sporting clubs, such as Wynnum Seagulls Rugby League Club, Wynnum Golf Club, Wynnum District SC (Wolves FC Soccer Club – since 1921), Wynnum Manly District Cricket Club, Wynnum Bugs Rugby Union Club, Bayside United Soccer Club and Wynnum Vikings Australian Rules Football Club. Wynnum Esplanade hosts Wynnum parkrun every Saturday – a free weekly 5 kilometres (3.1 mi) walk/run which attracts many participants. Recreational clubs include the Wynnum Manly Leagues Club and the RSL. The Wynnum foreshore is a popular swimming and picnic spot for Brisbane families especially at weekends. Cannon Hill is a suburb of Brisbane, Australia. It is located 5 kilometres (3.1 mi) east of the CBD, and borders Carina, Morningside, Murarrie, and Tingalpa. Cannon Hill is most likely named after Cannon Hill House, a residence formerly located on Wynnum Road. It was occupied by the Weedon family from its construction in 1867 until burning down in 1927. Thornhill Weedon named the house after two fallen trees which were said to have resembled a cannon. Cannon Hill is home to many shops and restaurants. Major shopping centres include the Cannon Hill Shopping Plaza and Urban Village Cannon Hill. Cannon Hill is well serviced by public transport and is located in zones 2 and 3 of the TransLink integrated public transport system. Cannon Hill is also serviced by two major roads which allow for easy transportation around the city. Cannon Hill railway station provides access to regular Queensland Rail City network services to the Brisbane CBD and Cleveland. The Cannon Hill bus station is a major interchange for the area. Bus routes include to the Brisbane CBD, Chermside, DFO and Carindale.